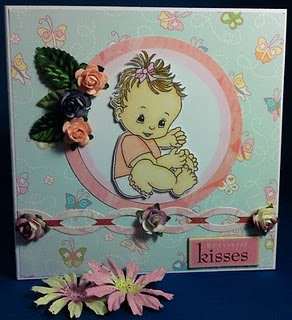 Judy has some gorgeous designs to choose from, including the cute baby images we used for our DT cards this week. You have until 8pm on Wednesday 3rd March to get your entries in and don't forget we're also looking for our next guest designer. 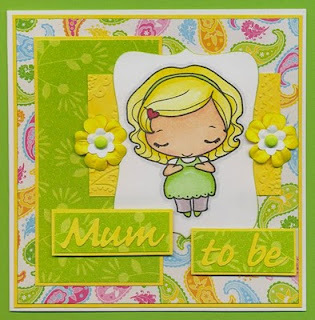 Thank you all for your entries to Heidi's lovely sketch challenge last week, it was great to see all those gorgeous creations for Mums. This week it's my turn to host the challenge (Nicki) and I would like to see you use this sketch to make something for a baby or small child - maybe for a new baby, Christening, 1st birthday - anything for a tiny tot or youngster. The lucky winner of this week's challenge will get 5 images of their choice, and we are also looking for our next guest designer for a 2 week spot - we're all excited to see what lovely baby creations you come up with. 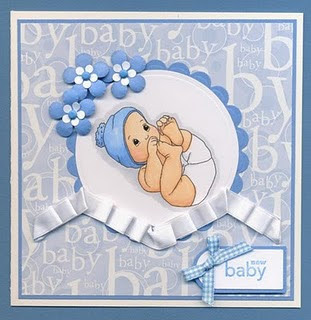 Digital Ink very kindly gave the design team some images to work with and the wonderful Baby Boy and Baby Girl stamps were perfect for our theme this week. Here are the team's cards to give you some inspiration. Don't forget, you need to follow the sketch AND the theme to be in with a chance of winning a prize, and you have until 8pm on Wednesday 3rd March to get your entries in. Congratulations, please email us your address, so we may send you your prize. We must also say a big thank you to Jazzy and Georgia who joined us last week as Guest Design Team girlies, their cards were fantastic! Once again, thanks for taking part, we do hope that you will join us again tommorrow, when the lovely Nicki will be unveiling a fabulous sketch/theme tommorrow. 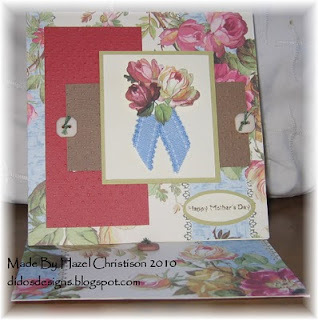 Good morning, thanks for so many entries last week for our Hazel's challenge. Welcome to Week # 34. 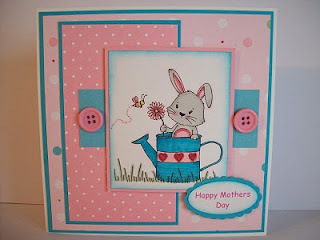 It's my turn (Heidi) to host this week, we want to see your creations using the sketch above and our theme of 'Mum's'. 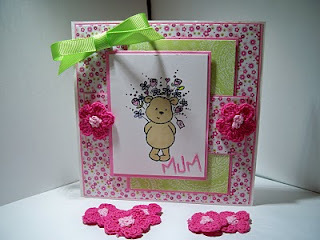 It can be for your Mum, Mother-in-Law, Mum-to-Be or a Mother figure. You can flip the sketch around and tweek it slightly, but we need to see the sketch on your entry. and the prize are the stamps below, aren't they lovely? 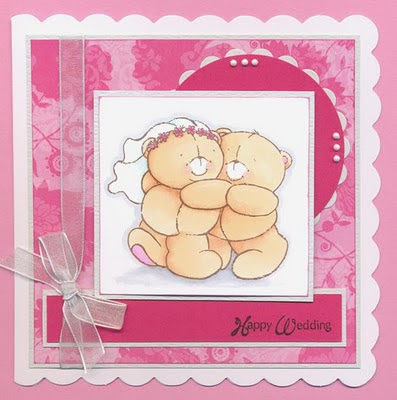 We are being joined by two Guest Designers who were picked last week, their cards are just fabulous! 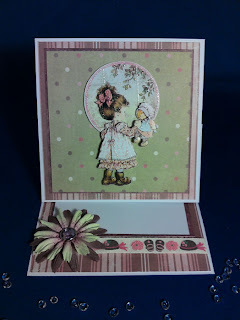 Do pop on over to their blogs, these young ladies are uber talented! 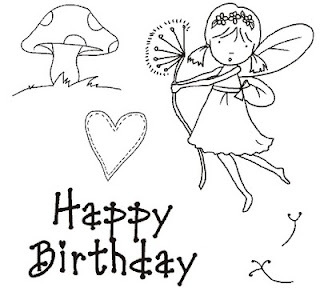 To the Design Team, they have made some gorgeous cards using my sketch, take a look-see! Right, get started on those cards / creations. So go mad with the flowers and all things feminine and don't forget to have lots of fun! 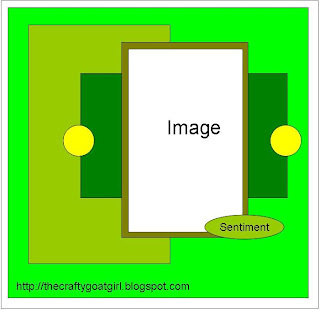 Please leave your link in the comments box (we can also take email entries) and we will pop by. 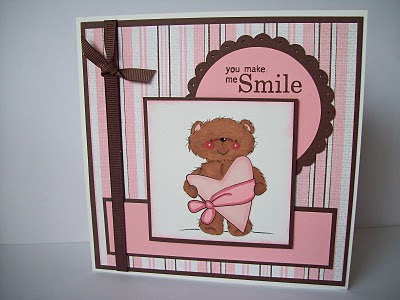 You have until Wednesday, 24th February 2010 at 8pm, when we will choose the winner of these lovely stamps. 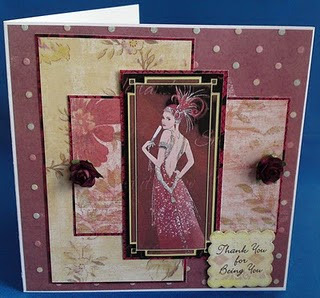 Well yet again we got a wonderful amount of cards from you this week, We love popping over to see them all at your blogs. Thanks so much for joining in with us. If you could send your addresses to our Email I will get the prizes out to you as soon as possible. Looking forward to seeing what you all make for the next challenge which kicks off tomorrow. 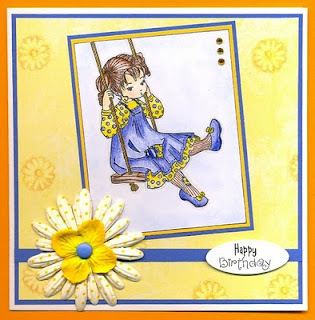 Heidi is hosting and she has a great sketch and theme for you. Well we had some fab entries last week & I found it really hard to choose a winner... so this week we have 3!!!!!! 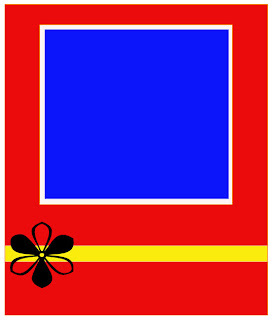 Now if you have a look at the cards that are entered into our challenges you will see a couple of names popping up most weeks. Congrats girls.... your cards are beautiful & your colouring is amazing. Look forward to see what you come up with. If you could get your Mum to contact us Jazzy to let us know you are able to take the GD spot we will then forward the next sketch & theme to you. Congrats hun...please send us your email address so we can send you your prize. Welcome back to Moving Along with the Times. 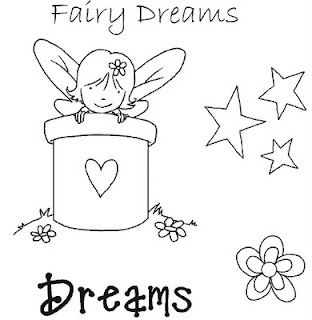 WOW What a great response to Clare's Sketch and challenge we loved looking at all your happy childhood memories. Clare will be along later to announce the Winner of the prize and also who will be the next Guest Designer. So I would love to see who your favourite Cuties are, from Forever Friends to Daisy and Dandelion, Popcorn the Bear, Penny Black the list goes on and on. 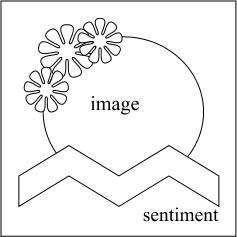 As long as the image is cute! We are being sponsored this week by The Glitter Pot. 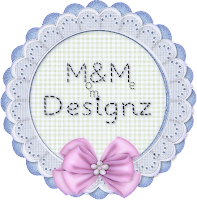 Pop over to see what goodies they have in store now. Theres More though. 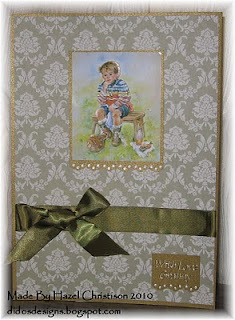 I have decided to give a second prize this week of some Daisy and Dandelion Decoupage sheets. Sure I will find some other goodies to pop in too though!!! Onto Our cards, Clare will be along later. 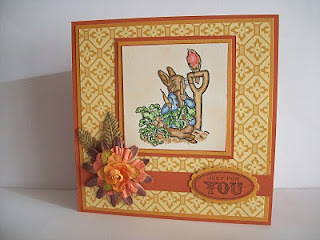 Clare W is having a wee break so no card from her this week. A huge thank you to everyone who took part in our recipe challenge last week, we had some gorgeous entries and it was fascinating to see how you all used the 'ingredients'. 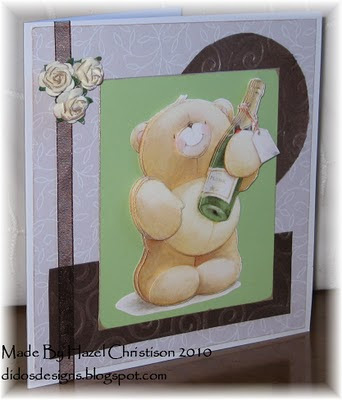 Congratulations Chrissie, if you would please email your details to the address on the sidebar, I will get your prize off to you as soon as I can. Clare (Thread-Bare) and she's picked a wonderful theme too!